The law has changed – are you registered to vote? NB the law has changed and you may need to re-register. Click here to register (you will need your National Insurance number). The deadline for registration is 20th April. 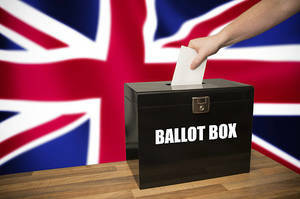 Please also note that postal votes have been proven to yield a higher turnout, so please consider registering for one. Thirdly, please feed back any responses you get from your candidates as this data will help us enormously when the new government is formed. Countryside Alliance Ireland © 2019 - All rights reserved.